For seventh grader Mila, it starts with some boys giving her an unwanted hug on the school blacktop during a surprise birthday celebration. The next day, it’s another hug. A smirk. Comments. It all feels…weird. According to her friend Zara, Mila is being immature and overreacting. Doesn’t she know what flirting looks like? But it keeps happening, despite Mila’s protests. On the bus, in the halls. Even during band practice–the one time Mila can always escape to her happy “blue-sky” feeling. It seems like the boys are EVERYWHERE. And their behavior doesn’t feel like flirting–so what is it? Mila starts to gain confidence when she enrolls in karate class. But her friends still don’t understand why Mila is making such a big deal about the boys’ attention. When Mila is finally pushed too far, she realizes she can’t battle this on her own, and she finds help in some unexpected places. 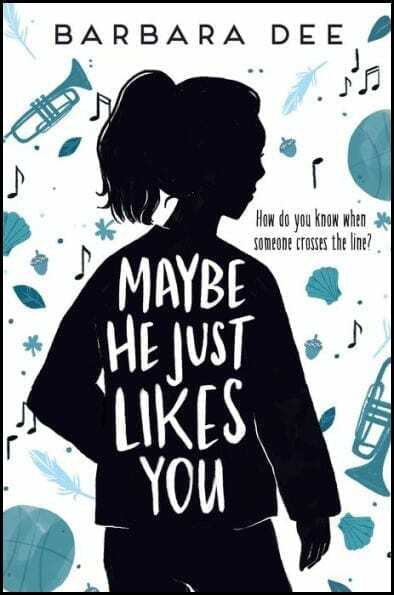 From the author of EVERYTHING I KNOW ABOUT YOU, HALFWAY NORMAL and STAR-CROSSED comes this timely story of a middle school girl standing up and finding her voice. See the cover reveal on the Nerdy Book Club blog.